Some allergies are fairly easy to identify because the pattern of symptoms following exposure to certain allergens can be hard to miss. But other allergies are less obvious because they can masquerade as other conditions. If your child has cold-like symptoms lasting longer than a week or two or develops a "cold" at the same time every year, consult your doctor, who will likely ask questions about the symptoms and when they appear. 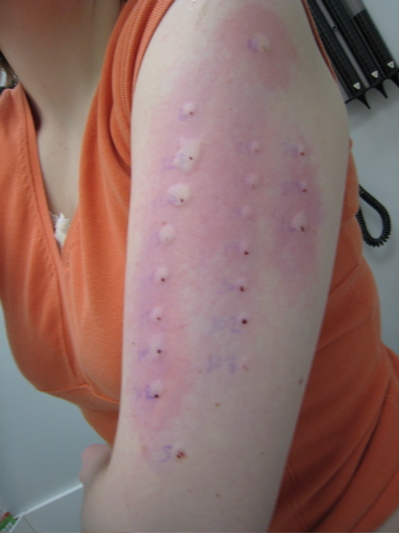 Based on the answers to these questions and a physical exam, the doctor may be able to make a diagnosis and prescribe medications or may refer you to an allergist for Allergy skin tests and more extensive therapy. 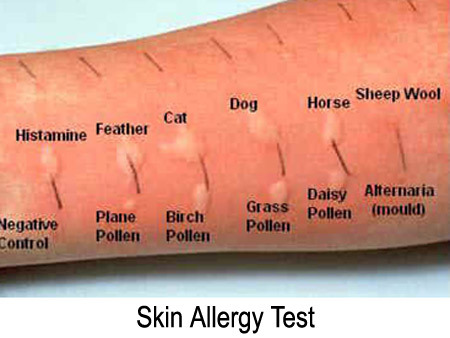 To determine the cause of an allergy, allergists usually perform skin tests for the most common environmental and food allergens. These tests can be done in infants, but they're more reliable in kids over 2 years old. 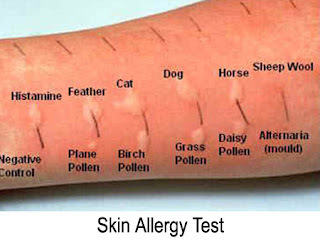 A small amount of allergen is injected just under the skin. This test stings a little but isn't extremely painful. After about 15 minutes, if a lump surrounded by a reddish area appears (like a mosquito bite) at the injection site, the test is positive. 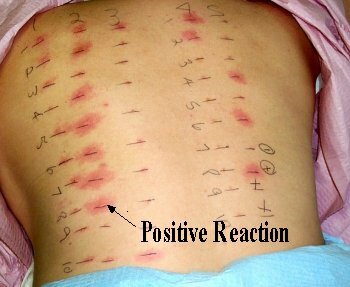 Allergy test. If reactions to a food or other allergen are severe, a blood test may be used to diagnose the allergy so as to avoid exposure to the offending allergen. Skin tests are less expensive and more sensitive than blood tests for allergies. But blood tests may be required in children with skin conditions or those who are extremely sensitive to a particular allergen. Even if a skin test and/or a blood test shows an Allergy, a child must also have symptoms to be definitively diagnosed with an allergy. For example, a toddler who has a positive test for dust mites and sneezes frequently while playing on the floor would be considered allergic to dust mites.